As both a mother and grandmother we have lots of bath toys, some as old as my first born which dates the products back 24 years. We have replaced many of the toys including bath bags from wear and tear. So it was time to update with LiLUnicorn coming to the rescue with a bag for our other bathroom. Right now ours is stuffed with barbie dolls, rubber duckies, and kids shampoo bottles, and there is still more room left for more. This is the kind of bag and size I need. My older daughter wants one just for her bathroom stuff so none of the smaller kids touch it..
You can find this bath storage bag for toys on Amazon. What LilUnicorn hase to say about their product. 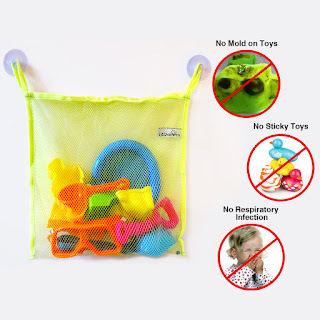 Ultra Safe For Kids & Holds A Large Number of Toys- Premium 100% mold-free material protects your child from getting respiratory infection in mouth. Size of 13” by 11.5” provides large enough space to fit in all your kid’s toys with ease. Makes a fantastic baby shower gift! Suction Cups That Stick Like A Magnet- 2 pre-installed suction cups tightly holds the bath toy holder with a strong & secure grip; making it effortless to install & reposition the bag if necessary. By now ordering, you’re also getting 2 EXTRA heavy-duty suction cups that use a special latching system helping your toy holder stick to the bath wall like a magnet. Keeps Your Bath Tub Neat and Super Clean! 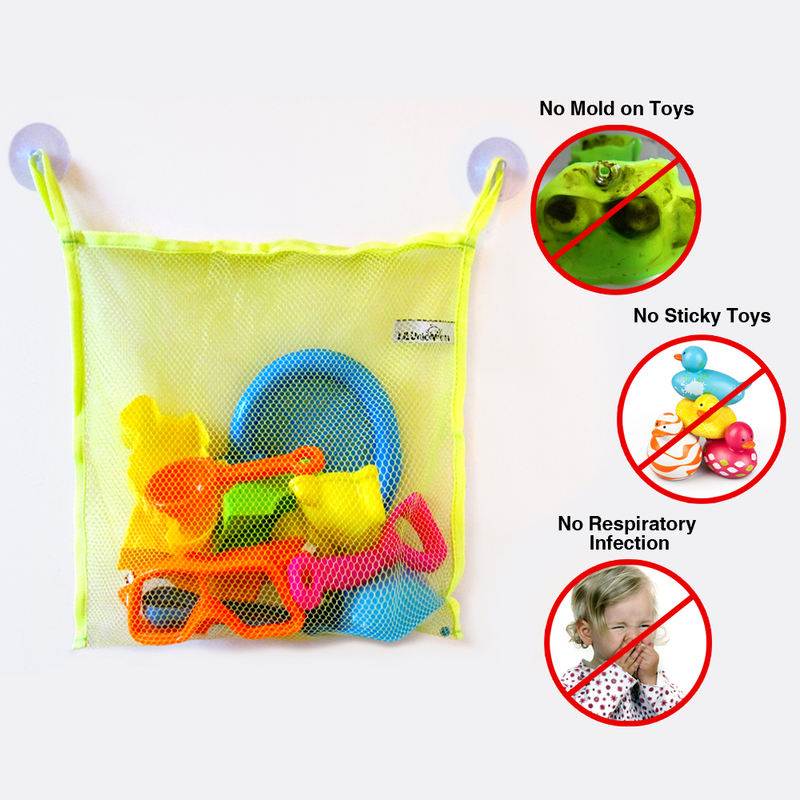 - The mesh bag helps in drying the toys quickly & automatically - no cleanup required. No more icky, slimy or moldy toys. Instead of laying out a ton of toys for drying after play, just leave the toys in the mesh bag and forget about it until next time! If you’re a “sick of the mess” parent, your search for the best bath toy organizer is finally over. Main Benefits- No mess, no cleanup and 100% mold-free. Makes a great baby shower gift! 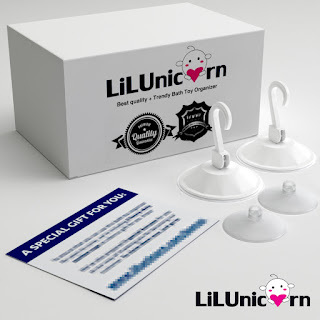 Disclosure: MarksvilleandMe received one or more of the products mentioned above as part of a promotion with Tomoson and LilUnicorn. Regardless, MarksvilleandMe only recommends products or services we use personally and believe will be good for our readers. Some of the links in the article may be “affiliate links.” This means if you click on the link and purchase the item, I will receive compensation. If you would like MarksvilleandMe to review a product or service please contact us at marksvilleandme@gmail.com.